These days, there are a lot of what we call "casual collectors". 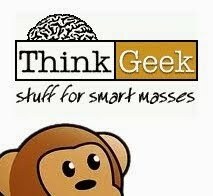 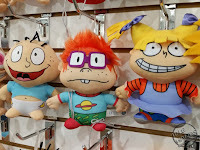 While these folks may have significant collections, they just sort of wander through a toy show looking for non-specific things that spark the heart bubbles above their heads, taking them back to their childhood where Saturday morning cartoons ruled all. 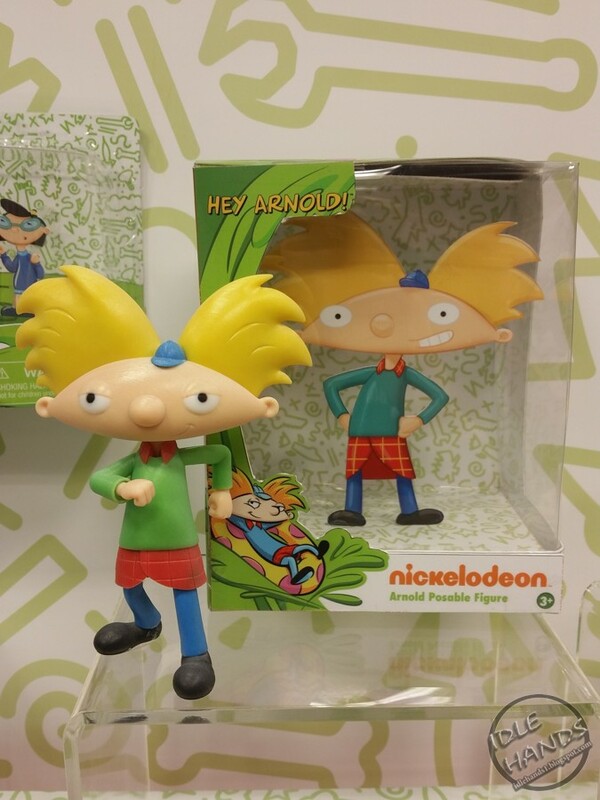 Just as the sellers at toy shows strive to fill their tables with flashbacks, toy companies have caught on and are actively seeking out 80's and 90's properties to transform the retail aisles into way back machines. 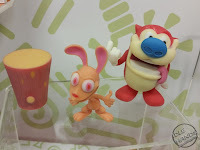 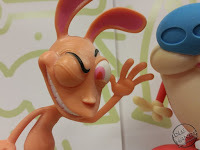 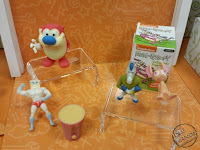 You'll find Strawberry Shortcake with The Bridge Direct...Madballs with THREE different companies..and now Just Play and Comic Images join in on the fun! 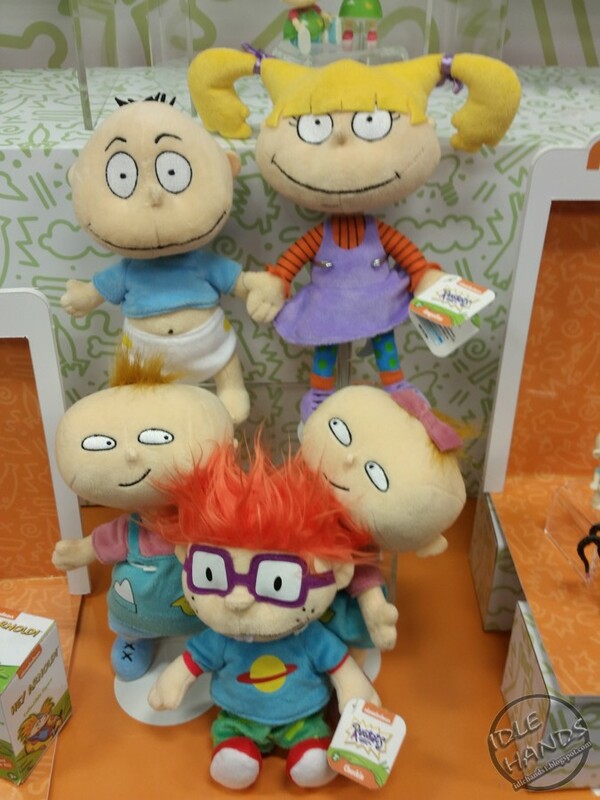 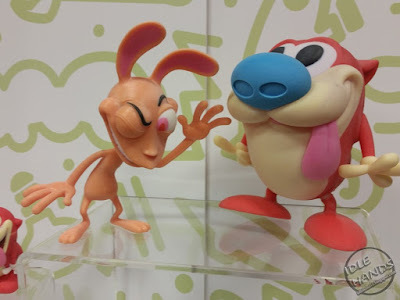 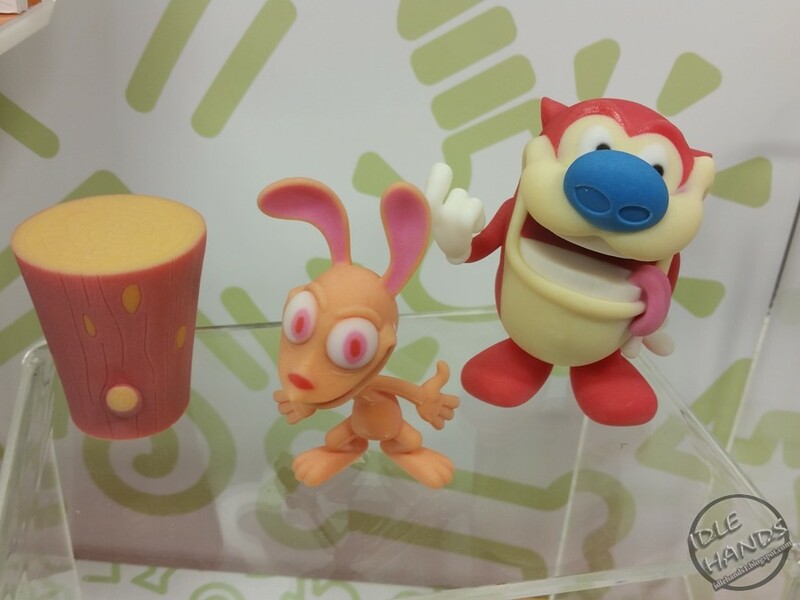 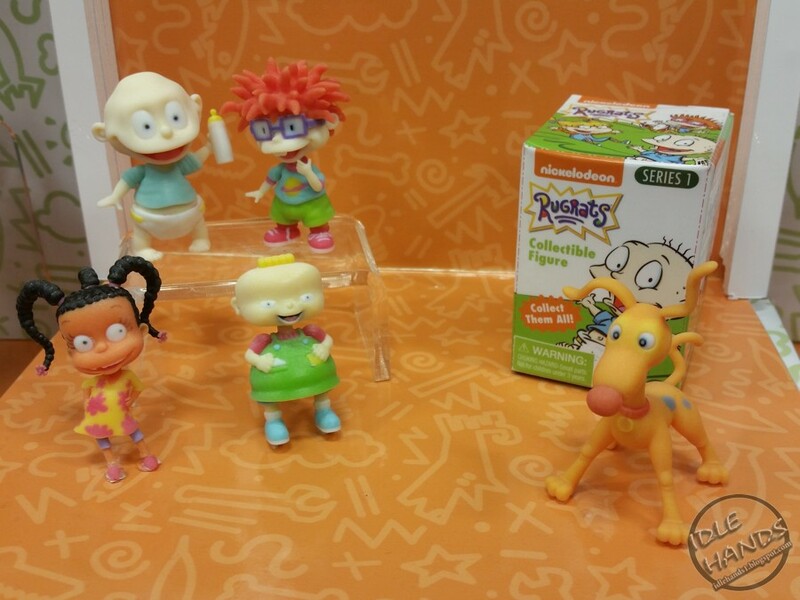 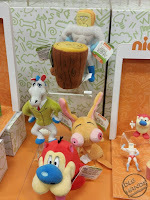 While touring Just Play at Toy Fair 2017, it was clear the company understands the value of rekindling your childhood loves. 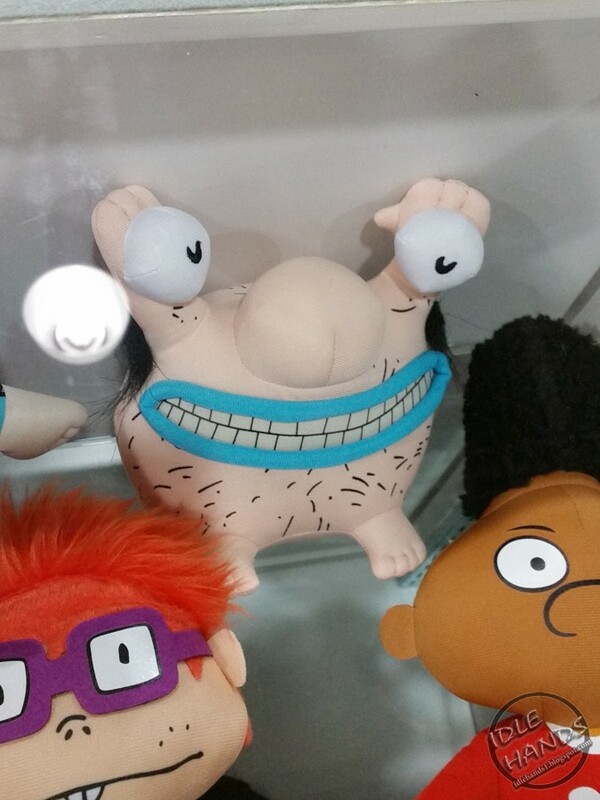 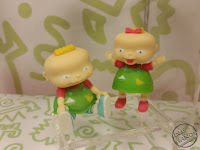 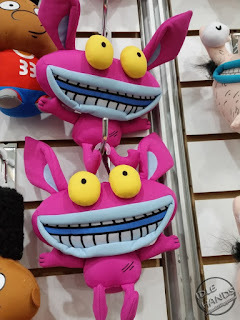 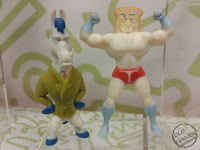 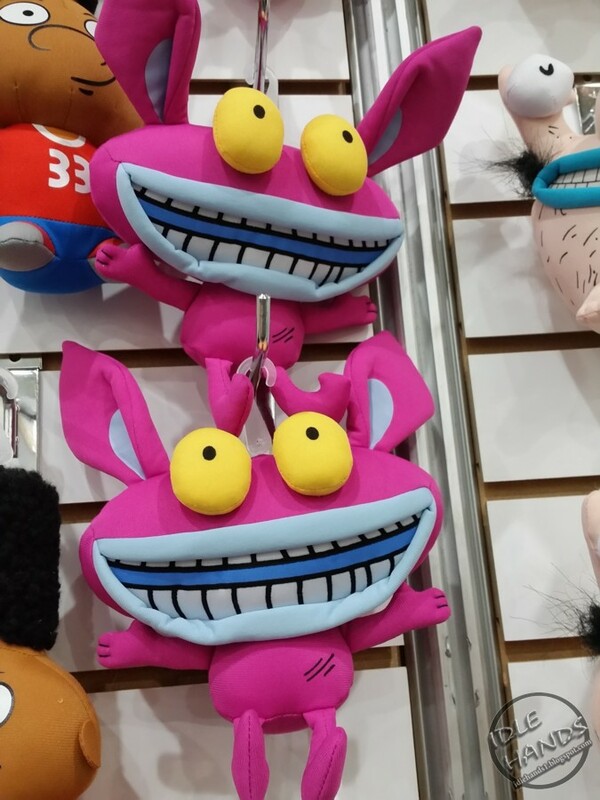 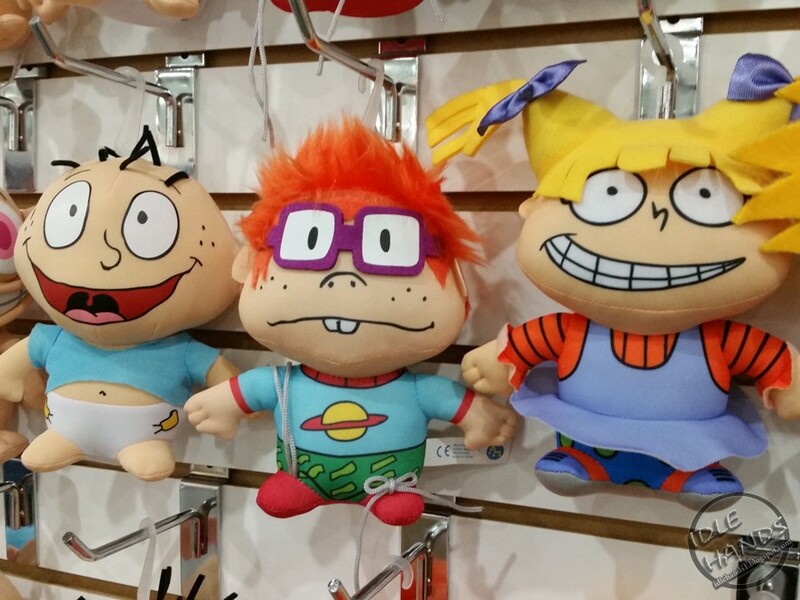 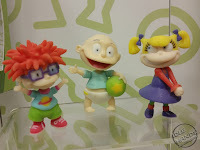 Alongside their own original Madballs line and a wall thick with Care Bears, we found a small army of Nickelodeon characters posed and ready to have your dollars thrown at them. 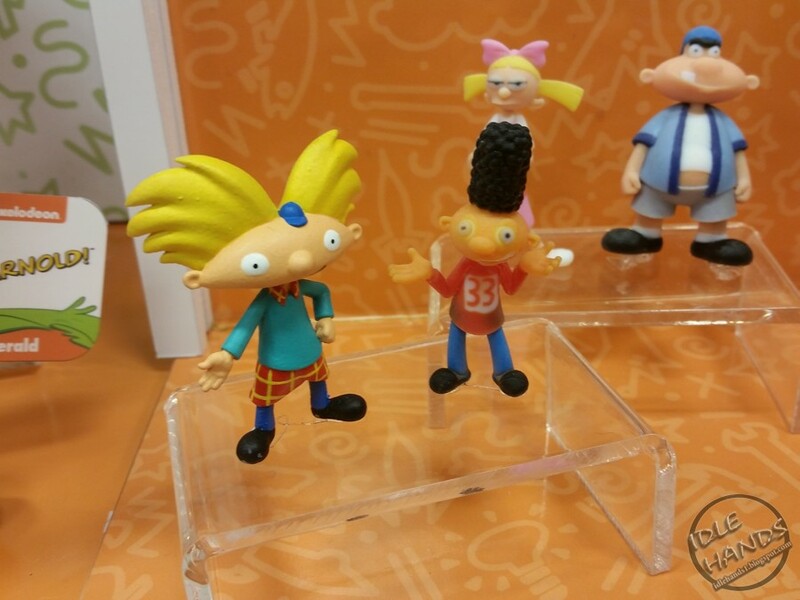 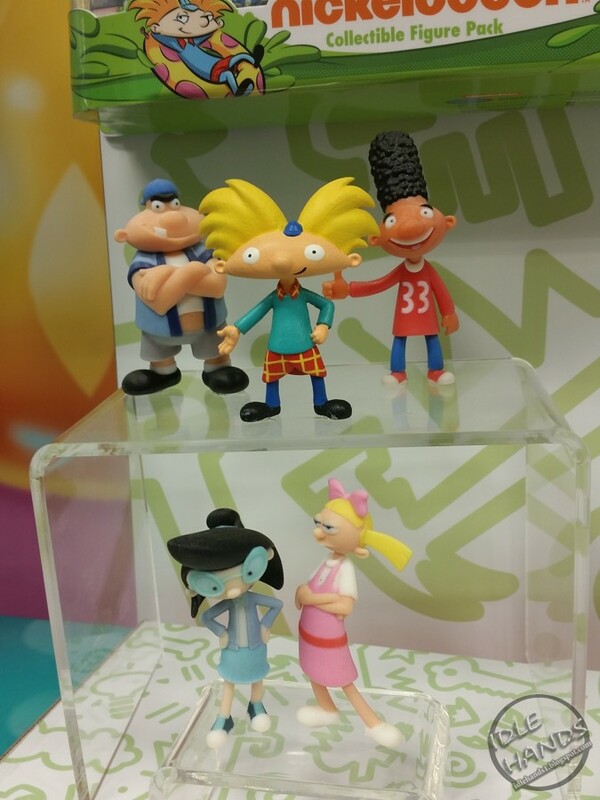 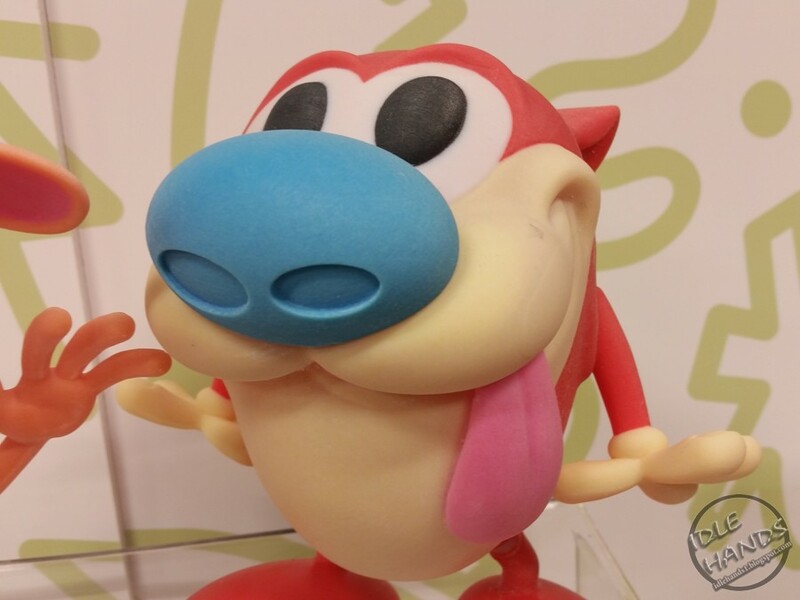 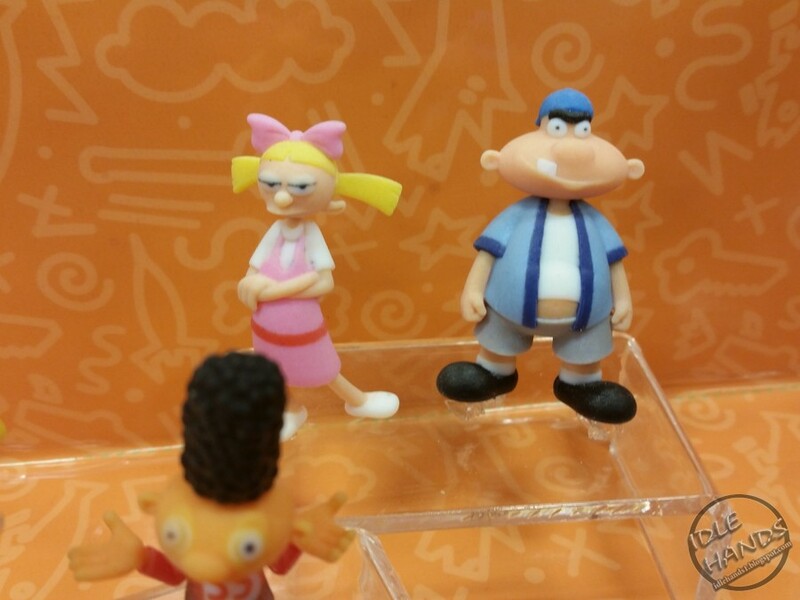 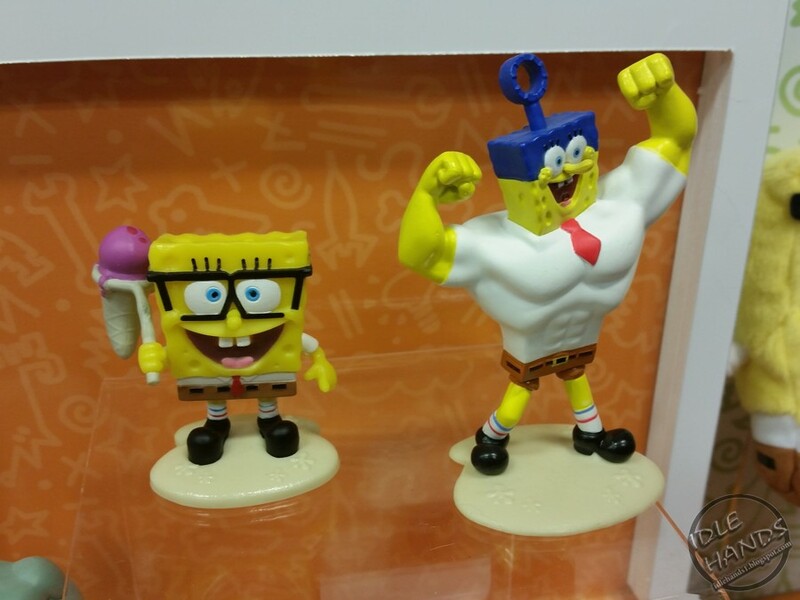 The 2017 lineup includes Hey Arnold, Ren and Stimpy and Rugrats adding a much needed variety to pegs normally filled with the familiar goofy smile of Spongebob Squarepants. 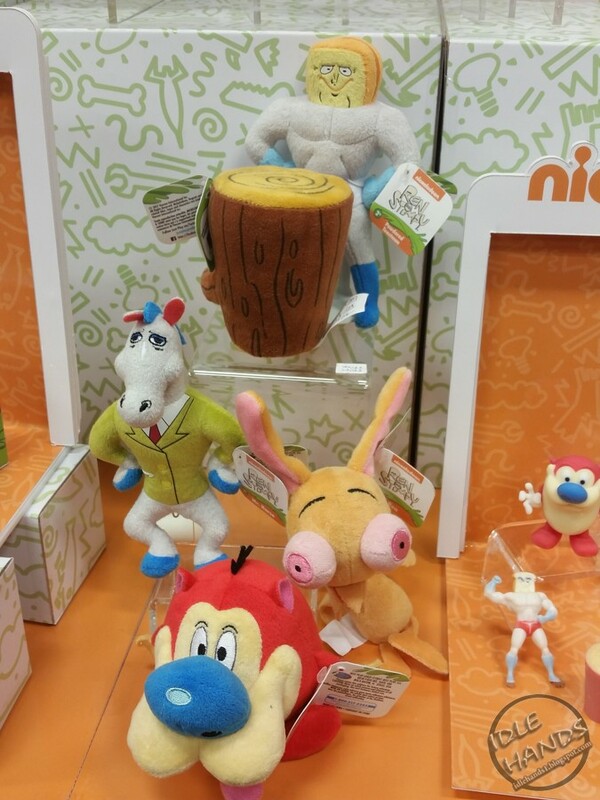 Each line includes action figures, mini figures (presumably in a blind box format, Mini figure multi packs and plush! 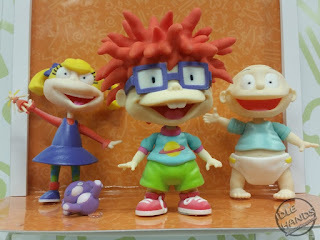 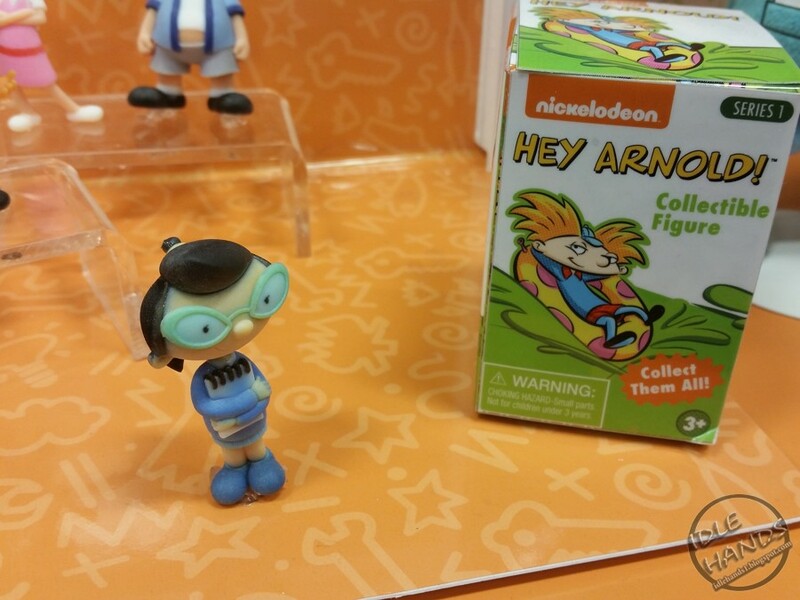 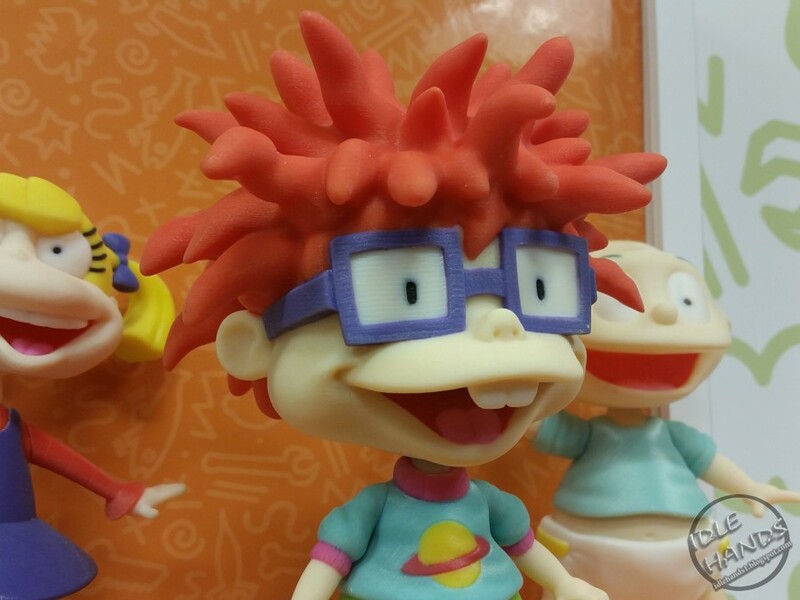 Dive into more images from Just Play's Nickelodeon line HERE! 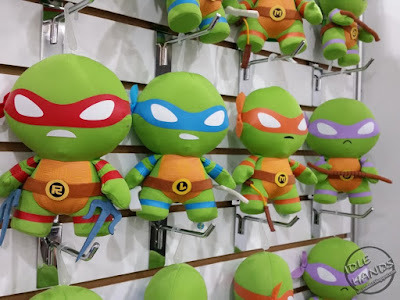 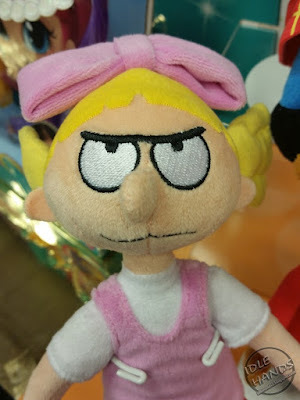 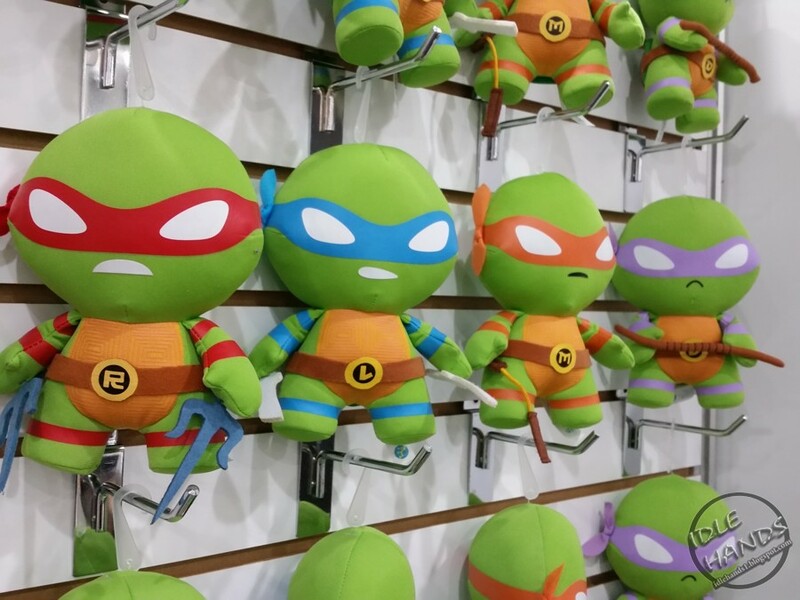 Comic Images excels in transforming popular pop culture characters into neat lil plush pals. 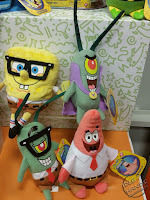 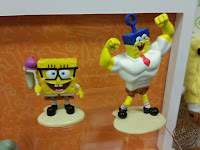 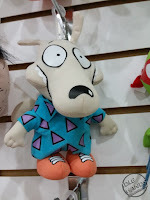 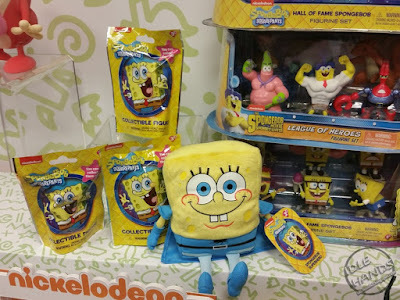 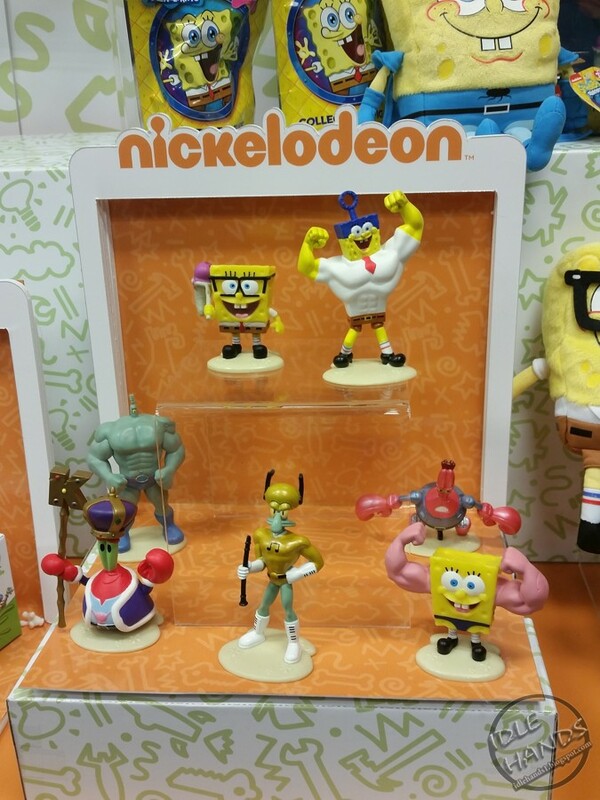 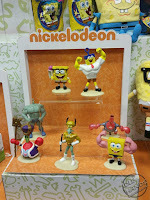 They continue their squishy dominance with a fantastic array of Nickelodeon cartoon all stars including characters from Aaahh! 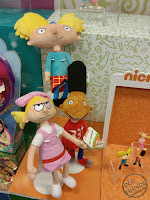 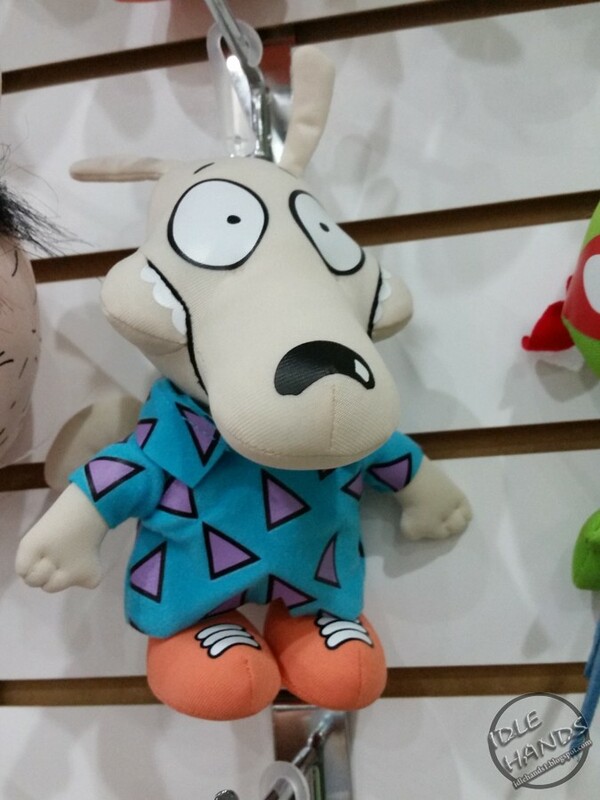 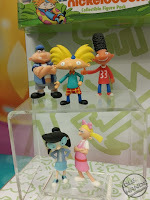 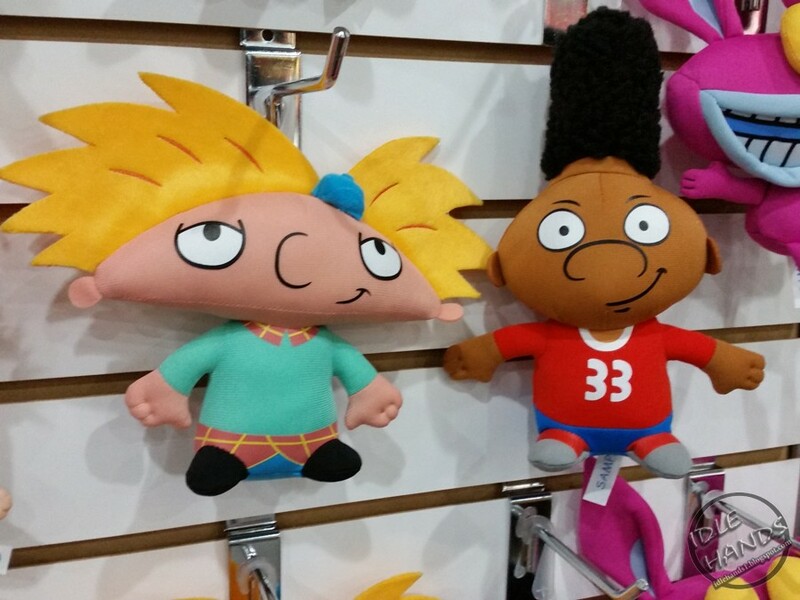 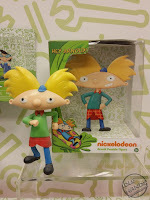 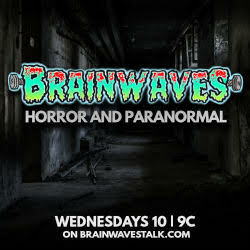 Real Monsters, Hey Arnold, Rocko's Modern Life, Rugrats and Teenage Mutant Ninja Turtles. Check out more from Comic Images HERE!